In the spring of 2013, I made what turned into a life-changing decision. It started out as the decision to upgrade the grand piano in our living room from the 1928 Hardman I had inherited, but became something much more. My piano tuner had been suggesting this, and put me in touch with Toni Van Loan, telling me that she had a piano just the same size as mine, and that I should go have a look. It was love at first sight, touch, sound. 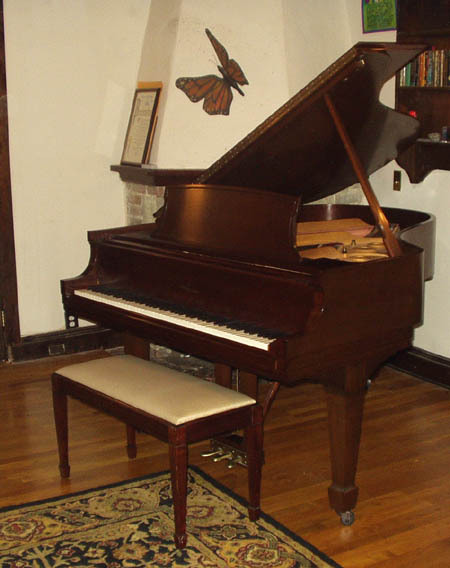 This is a Steinway “L”, mahogany, serial # 354- – -, made in 1958, which Toni had lovingly restored to mint condition. New strings, pins, pinblock, and completely refinished inside and out. The sound is magnificent, the touch light and completely responsive. What happened after it arrived here was totally unplanned. I decided this instrument needed to be played. For real. Having taken classical lessons as a child, but having looked at nothing but show music and fake books for many years, I went back to where I left off, and am taking lessons, playing Mozart, Beethoven, Chopin, Schumann and more. This fabulous piano has become an integral part of my life, and where I spend at least an hour of every day. Thank you, Toni Van Loan! 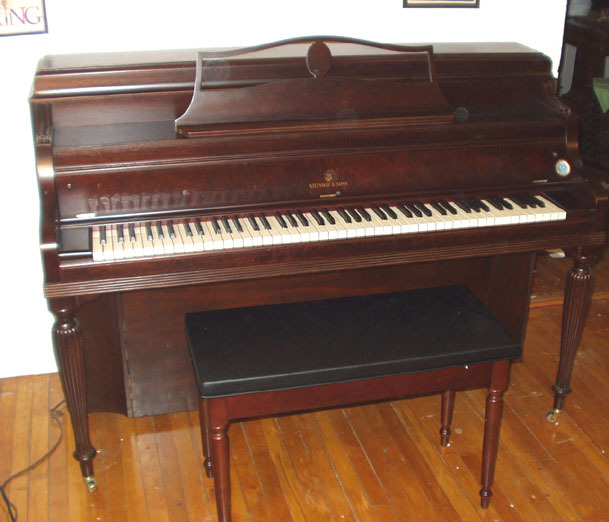 I purchased a reconditioned mahogany Steinway console from Toni at the Victorian Piano in June of 2015. 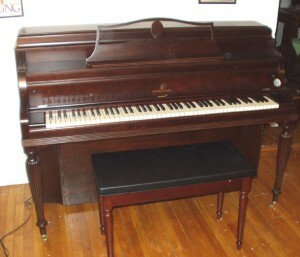 It’s a nice little piano that I have been enjoying a great deal, and Toni has kept it in wonderful tune for me. 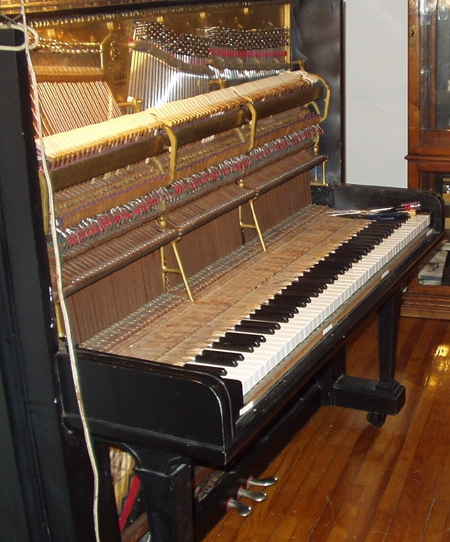 In the fall of 2014, toni from the Victorian Piano took the 1880’s Steinway upright that we had bought off ebay and found impossible to tune or use, to her new shop in Norwalk, CT. There she rebuilt and restrung this golden oldie so that it returned to us in early 2015 sounding like a real Steinway. We have had great success employing it in our recording sessions. Everybody loves the sound —nothing like it exists today.